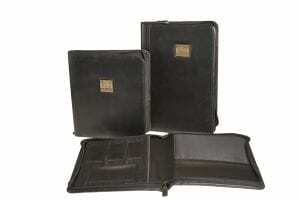 Cases come in many shapes, materials, and closure methods. 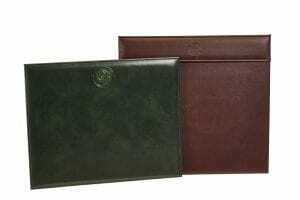 Depending on the collateral being contained and how it should be organized, we develop cases that will hold materials, tools or information in an organized format. 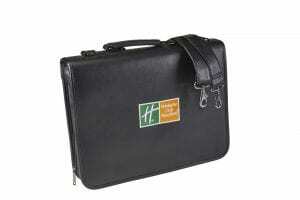 Custom briefcase keeps all presentation material in place for orderly and impressive sales presentation. Black imitation leather with logo embroidered on the front. 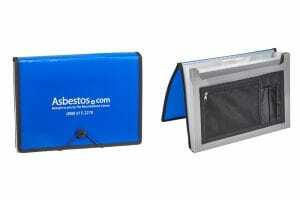 Zips closed to hold materials in place and comes with spine handle and padded shoulder strap. Imitation leather travel folio designed to hold printed collateral, passport and two luggage tags. Presented in a drawstring velour embroidered bag with cinch closure. 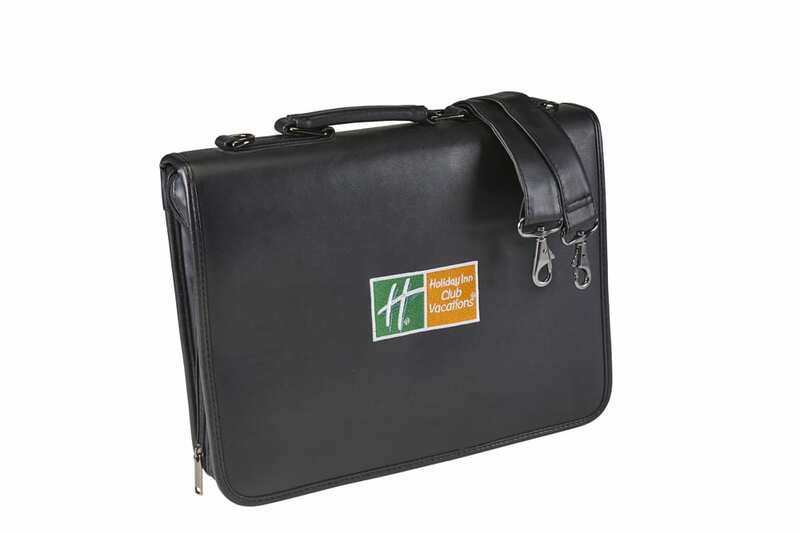 Desk pads add a touch of quality to boardrooms as well as Hotel meeting rooms. 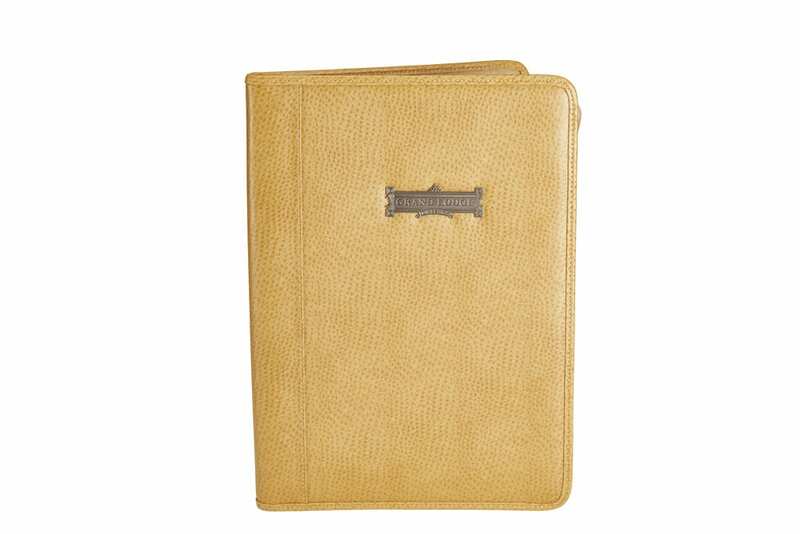 Made from imitation leather wit ha firm surface for writing. Logo blind debossed for subtle distinction. 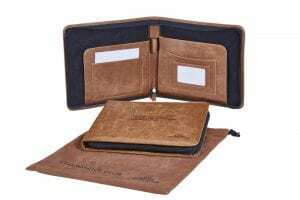 Imitation ostrich folio with cast medallion for decoration. Turned & stitched construction with zipper closure. 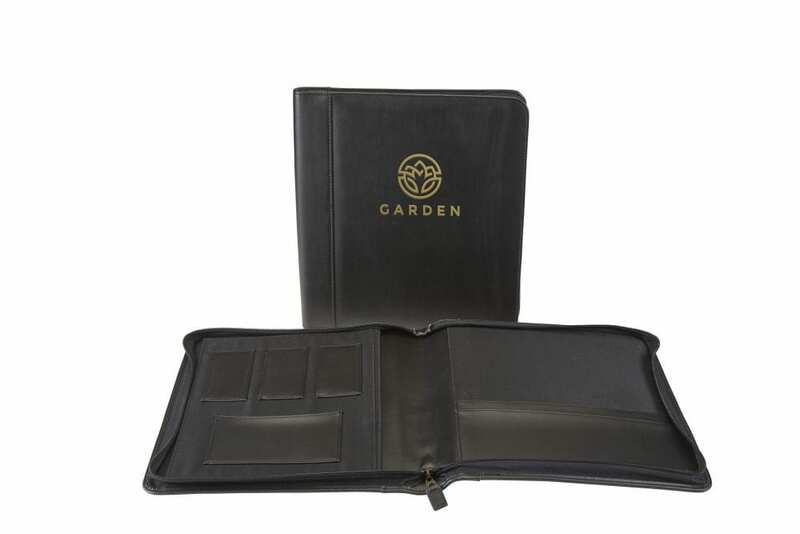 These black imitation leather zippered folios are for three different properties and each has a distinctive antique brass medallion to signify the resort. 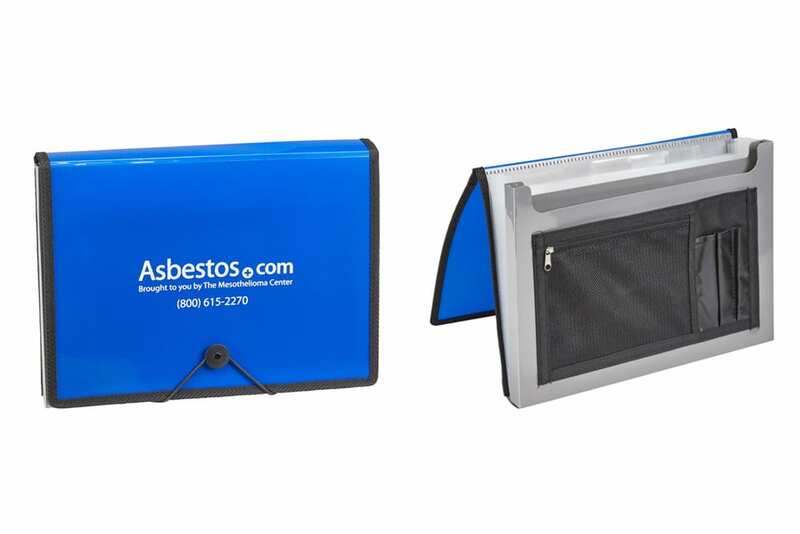 Poly expandable envelope that is a stock product and customized by adding silkscreen to front flap. Closure is a button/elastic loop. 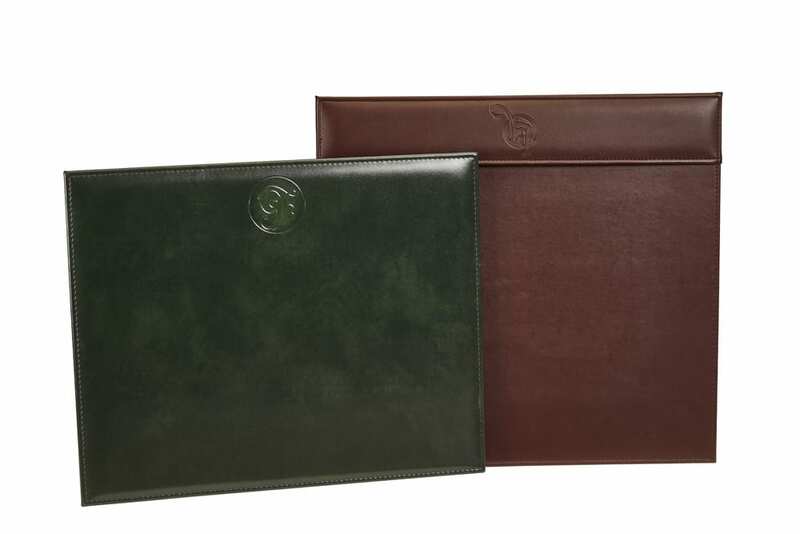 Custom slipcase and custom folio for presentation. The matte soft touch material slipcase and quarter bind of the folio are screened in clear so that design is continuous. 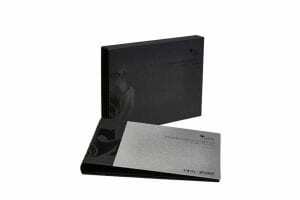 The slipcase and spine art registers. The front cover of the folio is a silver cover material with a brushed silver finish with the logo deboss stamp in black on the cover. 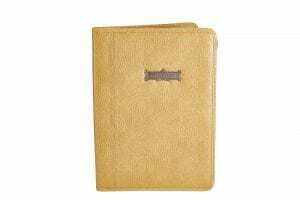 Imitation leather black zippered folio with bright gold foil stamp/deboss.